Colorfull flyer for your party or event in a tavern. Exclusive on Graphicfy. 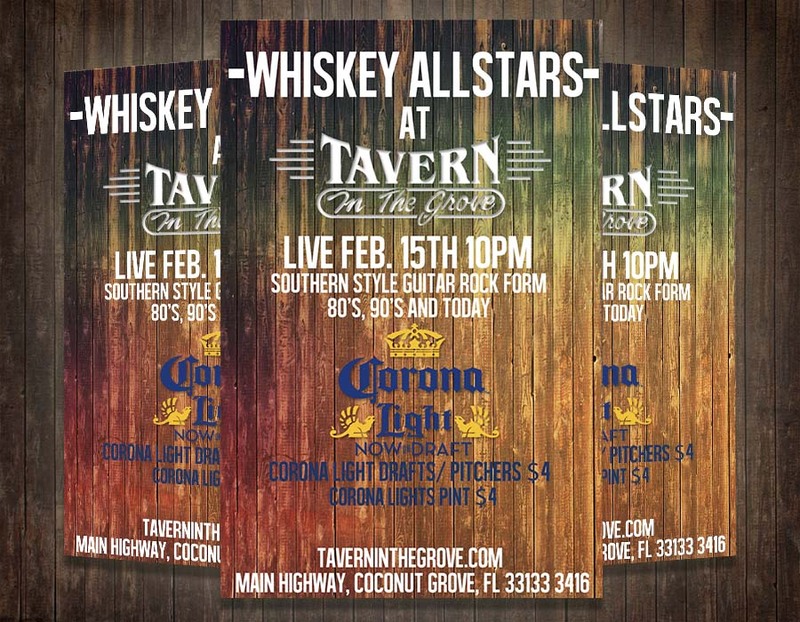 Tavern Party Flyer Template PSD is a flyer for your musical event, party, festival, or any other type. Rustic design, ideal for pubs and taverns. Fully editable. Wood style with modern colors, ideal for pubs, clubs and restaurants too. Fully editable, PSD file. Include all images and layer and the text font. 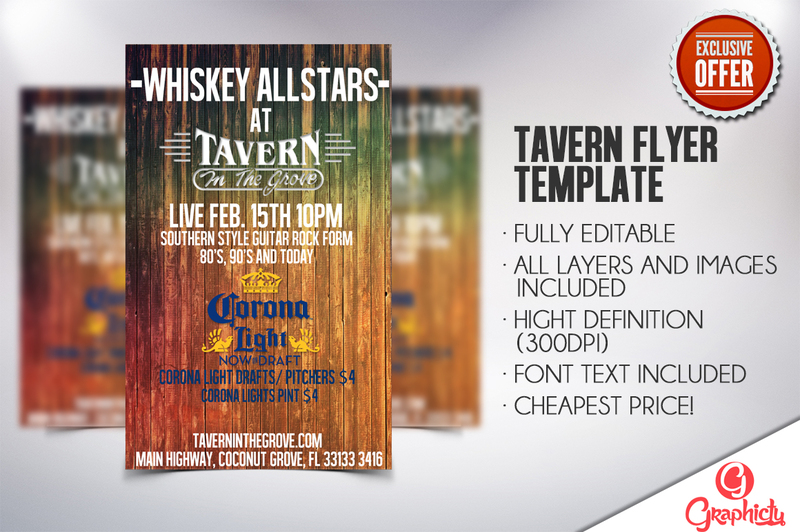 Download Tavern Party Flyer Template PSD.